Desi got a few sets of Duplos for his birthday. He just received this delightful set from his grandparents. It is too cute! Lego makes lots of cute sets that will be fun for him to collect. 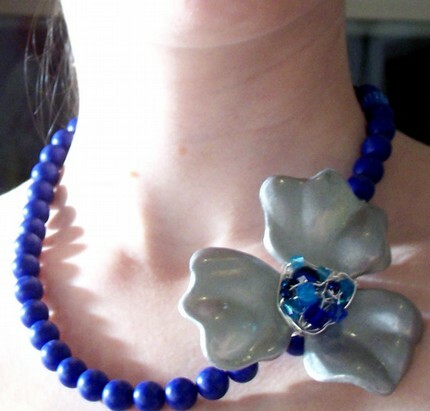 Check out this pretty necklace made by Sweet Stella. It would be pretty for holiday parties! 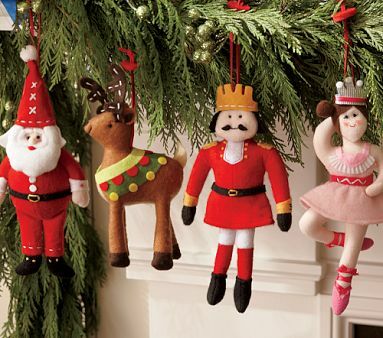 These cute ornaments can be found at Pottery Barn Kids. I love the santa and the reindeer. Looking for a perfect gift for your about-to-be-a-parent friend? 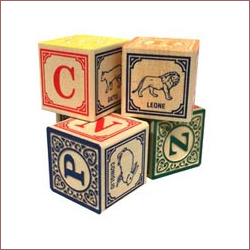 If they love languages, these blocks would be wonderful. Beautiful and Made In The USA. Available in English, Spanish, Italian, French, Russian, Greek, Arabic and Hebrew. Already almost November. Walker cleared out his garden over the weekend and left us with bags full of green tomatoes. I found a great recipe for fried green tomatoes at Simply Recipes and tried it out tonight. Delicious! We will be eating those for a little while. Desi even liked them! 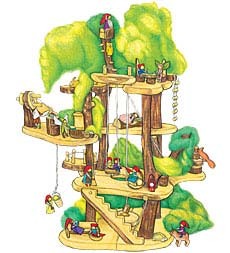 This awesome tree fort is from the Magic Cabin catalog. Crafted in Poland of real salvaged wood. Also available here. 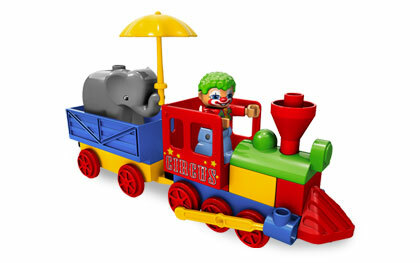 What a pretty toy for hours of imaginative play! 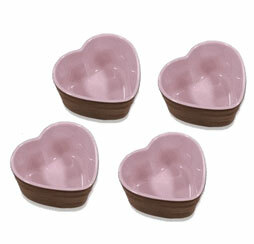 So tonight I saw that I had all of the ingrediants for these and decided to make them in my pretty new ramekins. Katie and I both found a set at North Market Cookware. Marked down to $15! The ramekins are so pretty that I left the cakes inside instead of flipping them out onto plates. YUM! Another SuperBuzzy find! Making cute hedgehogs. 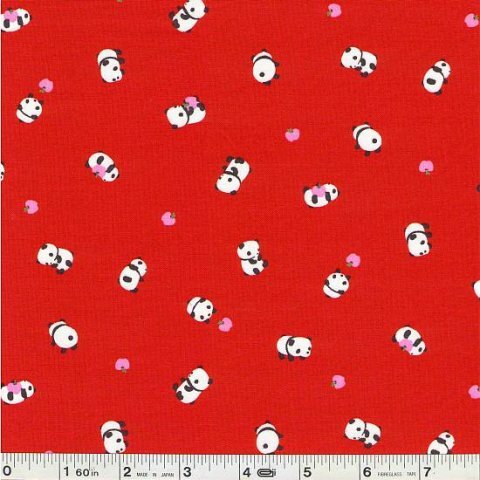 I found this super cute fabric at SuperBuzzy. Can’t wait for it to arrive in my mailbox! It is gorgeous this year. I would love to have this on my desk. 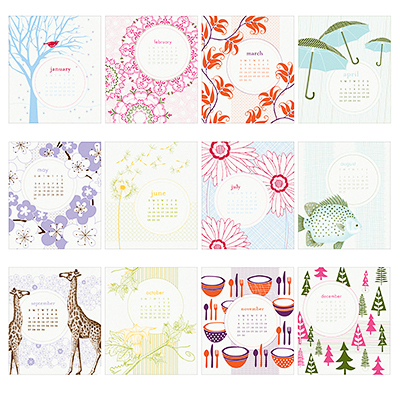 And what special calendar months for scrapbooking too. 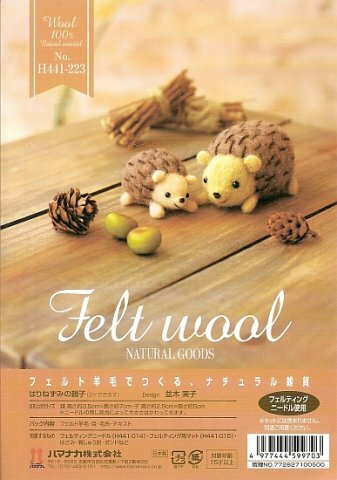 You are currently browsing the Handcrafted Delights weblog archives for October, 2008.